Deciphering and understanding the different types of yoga offered at your yoga studio can be like learning a different language. Vinyasa, Kundalini, Katonah? Isn't yoga just yoga? Just like there are different styles of dance—ballet, tap, and merengue, to name a few—there are are also a variety of yoga styles. That's because everyone has distinct needs and yoga isn't "one size fits all." “One yoga teacher and one yoga style can’t be everything for everyone, says Steph Creaturo, a certified yoga instructor and co-founder of Mala Yoga in Brooklyn, New York. Finding the right yoga class and teacher can feel a bit like dating, says Creaturo. While it's easy to pick your yoga class based on what's convenient for your schedule, it's worth taking the time (and a little trial and error) to figure out what works for you. Creaturo recommends asking yourself some questions: What are the top two reasons you're interested in yoga? What kind of learner are you—verbal or visual? "Ask your friends and local yoga studio, too." To give you a head start, here’s a breakdown of 10 of the most popular types of yoga. Vinyasa is a dynamic, flowing practice that's literally a moving meditation. Instructors choreograph a sequence of yoga poses where each movement is linked to your breath and a pumping playlist, elevating your heart rate. “This is a good practice for people who like to move,” says Creaturo. But Creaturo advises that you should have some yoga experience, too. Since you don't linger in each pose during Vinyasa, it can be overwhelming if you're not familiar with the basics. “People can jump into the deep end with faster classes and that’s where yoga injuries can happen,” she says. If you live for the last 15 minutes of yoga class or dream of Savasana all day, Creaturo says you’ll love a restorative yoga class. “It’s in the slow-it-down category of yoga,” she says and the goal is deep relaxation. To achieve that, you’ll use all sorts of props such as bolsters, blankets, and blocks to support your body in different postures as you hold them for five to 10 minutes at a time. This approach is said to activate your parasympathetic nervous system, aka the body’s rest-and-digest system. Be prepared to take in a ton of information in an Iyengar yoga class. These classes don’t flow from one pose to another. Instead, you'll do a deep dive into the details of each yoga posture using props like blocks, straps, blankets, chairs, and even a ropes wall to understand structure and alignment. “It’s a good approach especially if you’re working with pain (particularly back pain) or another medical issues,” says Creaturo. It’s also a nice introduction to individual yoga poses for those who are new to the practice or who haven’t been active in a while. Hatha yoga is all about the basics and a good intro to the slower side of yoga, according to Creaturo. “It’s like the chicken soup of yoga,” she says. “It’s a blend of a little bit of everything. It’s more chill than Vinyasa but not as chill as Restorative.” You’ll move through a sequence of poses and hold each for a few breaths. Creaturo says it’s also good for people who haven’t been active for a while or just starting to hit the mat. If you like to know what to expect in every yoga class, Bikram may be for you. In each class, you’ll move through a 26-pose sequence and two breathing exercises, created by Bikram Choudhury. Each studio is heated to 105 degrees and 40 percent humidity, so be prepared to sweat—a lot! Since all Bikram studios follow the same set of sequences, it's easy to drop-in on a class if you're traveling. Hot yoga classes, however, are a little different. They follow a different variety of yoga sequences. At studios like y7, for example, class takes place in a room heated with infrared saunas, but teachers don't follow Bikram's 26-pose sequence. Instead, the instructor walks you through three yoga flows, all of which you practice for several rounds on your own. You have the option to modify or change the poses. If you’re new to Bikram or hot yoga, take it easy since the combination of heat and strenuous practice can make class feel especially hard. Plus, the added heat may make you feel more limber, but it can be easy to overdo it and go beyond your own limits. If you’re looking for the yoga equivalent of curling up under a blanket next to a fire, sign up for a Yin yoga class. “It’s really good at accessing the chill-out wing of your nervous system. If you’re constantly in your head and scattered, this is a way to reacquaint yourself with everything below your brain,” says Creaturo. These classes are the opposite of faster-moving Vinyasa flows. 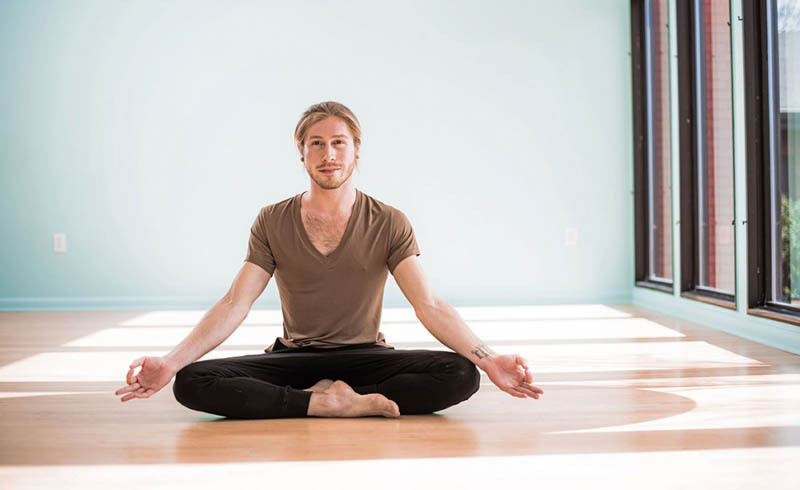 Since you hold poses for several minutes, it’s a more meditative practice designed to target not only your muscles but the deeper connective tissues and fascia, too. Ashtanga is for the rule follower who wants a dynamic, athletic practice. “It’s a classical style and a set sequence. It’s good for people who like to do the same thing over and over,” says Creaturo. Like Vinyasa, you’ll synchronize movement with your breath as you flow from pose to pose to build internal heat. There are two types of Ashtanga classes: In Led classes, a teacher guides students through the sequence and offers guidance. In Mysore classes, you move through the sequence on your own as a way to build your personal practice. But don't freak out if you don't know what you're doing! There are still teachers in the room to help if you need it. As the name suggests, prenatal yoga is designed for expectant parents, but it’s more than just yoga for pregnant women. These classes offer a gentle sequence of poses designed to promote range of motion and to help reduce pain in troublesome areas like the back and hips. Instructors, who have received additional prenatal certification, offer specific modifications for every stage of pregnancy. In many studios, women also share their challenges and concerns at the beginning of class, making these classes a key community of support. Katonah yoga is a rising star in the yoga world. Classes feel more like a workshop than your typical classes. Instructors will use plenty of props and hands-on adjustments to teach you different poses. They want you to understand the structure and alignment of your bones and joints in each posture and how it fits your body. The practice also incorporates elements of Taoism and Chinese medicine.